Amazon ASIN and Reverse ASIN Lookup: What is it and how does it work? What is an ASIN on Amazon? How can I find an Amazon product’s ASIN number? Where do I get an ASIN on Amazon? Why is the Amazon ASIN so important to sellers? What is reverse ASIN lookup? What is an Amazon ASIN? Amazon ASIN stands for Amazon Standard Identification Number. 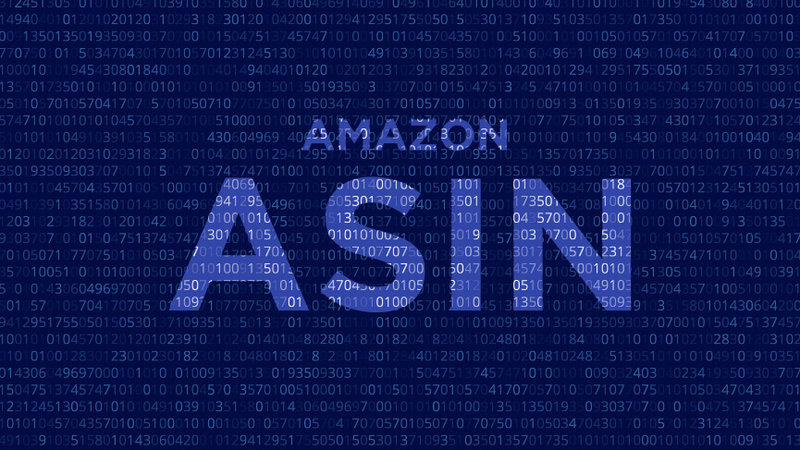 The ASIN is a ten-digit alphanumeric unique identifier that Amazon assigns each of its and its partner’s products. Basically, it’s how Amazon identifies the millions of products in its database. For example, the ASIN for Brita Pitcher Filters is B0006GQ8RW. Meanwhile, the ASIN for Old Town Canoes’ Recreational Canoe is B00NGIXAXW. Note: for books on Amazon, the ASIN is the same as the book’s International Standard Identification Number (ISBN). Are you new to selling on Amazon? How can I find a product’s Amazon ASIN? There are two ways to find a product’s Amazon ASIN. First, the easiest way to find the Amazon ASIN is simply scrolling down the page and reading the ASIN in the product’s description. Where can I get an Amazon ASIN? If you are an Amazon private label seller, you receive a new Amazon ASIN as soon as your product listing is approved to sell on Amazon. 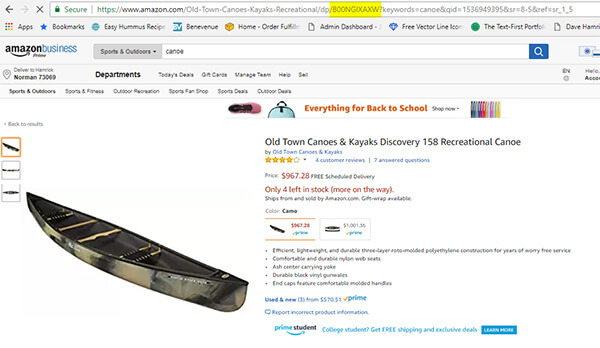 You can find your Amazon ASIN on your product page (like I demonstrated above), or you can even check your Inventory page on Amazon Seller Central. It will be in its own column. If you sell products that weren’t your own creation, then your products will use the ASIN assigned to that product. That ASIN is shared with every seller of the product. If you are selling books that you wrote and manufactured on Amazon, instead of an ASIN you will need an ISBN. You can purchase an ISBN online or through a local ISBN broker. Or, if you use a format such as Amazon’s Create Space, Amazon will create an ISBN on your behalf. There are a number of reasons that Amazon ASINs are so important to Amazon FBA sellers. First, it makes identifying products on Amazon easier for you and everyone else. Plus, the Amazon ASIN is solely used for Amazon, unlike a UPC or GTIN which can be used in other retail environments. But as an Amazon seller, Amazon ASINs are most useful for Reverse ASIN lookups. Reverse Amazon ASIN lookup is a clever way of taking your competitor’s product ASINs and using the number to spy on the actual Amazon pay-per-click keywords that they are using to generate sales. More often than not, you will need to use an application such as Keyword Scout to perform a reverse ASIN lookup. Below, I’ll show you how easy it is to do a reverse Amazon ASIN lookup using Keyword Scout. Performing a reverse ASIN lookup is incredibly easy. In fact, all it takes is three quick steps to do it. Note: you’ll need to be a Jungle Scout Web App subscriber in order to use the Keyword Scout tool. If you don’t already have access to the Jungle Scout Web App, you can learn more about it here. 1 – Find your competitor’s Amazon ASIN. I showed you two ways to do this above. Make sure you grab that number and copy it to your clipboard. 2 – Open up Keyword Scout and put the ASIN into the search bar. All you have to do is open Keyword Scout and put your ASIN right into the search bar. Just hit enter! And if you don’t want to search by ASIN, you still have the option to search by keyword, too. It’s so amazing! 3 – Collect your keywords. Once you hit enter, within mere seconds Keyword Scout will generate keywords that you can use in your own product’s Amazon PPC campaigns. For many, the Amazon ASIN and Amazon reverse ASIN lookup can be somewhat of a mystery. But now you understand how the Amazon ASIN works and no doubt you’re ready to start building powerful Amazon PPC campaigns with all of your new keywords. Remember, you’ll need to have a tool like Keyword Scout to do this. And the good news is, Keyword Scout is part of Jungle Scout’s award-winning suite of Amazon selling tools. With over 1000 reviews with an average of 9.5 stars on Trust Pilot, Jungle Scout is the world’s most trusted software for Amazon product research and business scaling methods! I have the chrome exten for jungle scout. can i do keyword scout using that? Keyword Scout is only available through our web application. I put in two asins (B07C1SKVQD and B01J4MF19O). Keyword Scout found the products but did not find a single keyword for either product. Why so? Hi, thanks for the post. The ASIN is created for each listing when it is approved by AMAZON. However, there can be many listings for the same product, trying to create value and so winning the market share. 1) When a seller tries to sell off of your list (ASIN) without creating its own list, is this called Hijacking? 2) Also, can the hijacker legally sell using your listing ONLY if he is buying the product from you? because otherwise his product will be counterfeit? 3) How can a hijacker make money if he is not selling counterfeit product while he is selling at lower price to win the buy box? 1) Yes, typically, especially if they’re selling a false product. 2) Sometimes hijackers use similar products to your own that they dropship from your competitors or from the factories directly. 3) Usually, hijackers wait for your product to run out, then leap on your listing. They’ll dropship your competitor’s product and mark it up. While sales are slower for the more expensive item, their margins are all profit since they don’t actually own the goods they’re selling. Great post and exactly what I wanted to see today i.e. keywords for PPC. For the products in my tracker, it says “this is variant ASIN”. What is Variant ASIN? A Variant ASIN is just a variation of the original product. Most often you’ll see this when a product has several color options. Each color option of that product has it’s own ASIN to distinguish each one. It depends on your type of product, not all sellers will have variations. That’s the first I’ve heard of it. What sort of account did you have and were you in the US?